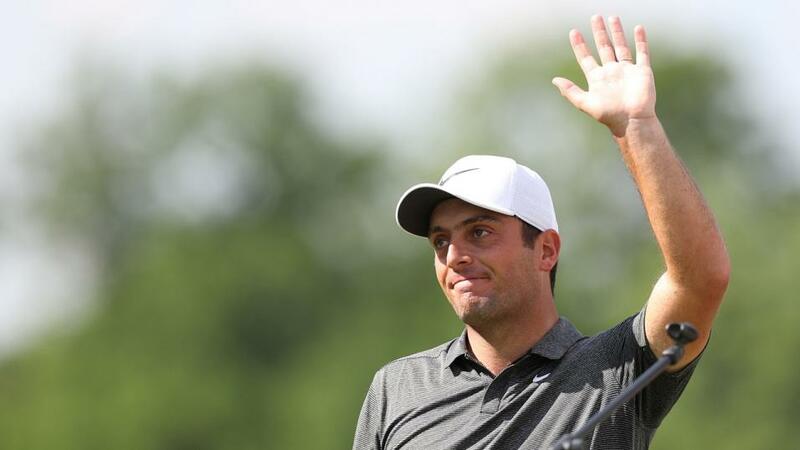 Should Francesco Molinari be such a big price this week? "With three wins in his last eight starts and two seconds and a sixth in the US PGA, Molinari is in incredible form and in a trappy event with little obvious value on offer, the [27.0] available about the Italian, when he's no bigger than 22/1 on the High Street, looks worth taking." Originally known as the Westchester Classic and staged at Westchester Country Club, and most recently known as the Barclays, the Northern Trust has undergone a series of name changes over the years. The tournament was first staged in 1967 when Jack Nicklaus won the title for the first time and he won it again in 1972. Jack's one of four to win it twice and Vijay Singh has won the event four times. The Northern Trust is now a limited field event for the top 125 on the FedEx Cup standings after the last counting event (last week's Wyndham Championship) and it's kicked off the FedEx Cup playoff Series since its inception in 2007. At the end of this event, the top 100 in the standings move on to TPC Boston for the Dell Technologies Championship (formerly the Deutsche Bank Championship) next week. Ridgewood is a tree-lined classic course designed by the legendry A.W.Tillinghast in 1928. In recent years, Gill Hanse has undertaken a restoration of the course to bring back some of the original Tillinghast features lost over time. Ridgewood is comprised of 27 holes, split in to three strong nines - the East, West and Center. The Northern Trust will be staged on the Championship Course - a composite 18 made up from each of the three nines. Ridgewood wasn't used much during the last century but it did stage the U.S Senior Open in 1990 and it also staged the Senior PGA Championship in 2001. It was also the host course for this event in 2008, 2010 and 2014. The first two renewals went to a playoff, with Vijay Singh getting the better of Kevin Sutherland and Sergio Garcia, before Matt Kuchar edged out Martin Laird two years later. Hunter Mahan won here quite easily four years ago by a couple of strokes. For more info on the course, please see this excellent hole-by-hole guide from Ridgewood's website. Live on Sky Sports all four days beginning with Featured Group coverage as early as 12:30 UK time on Thursday. Full coverage begins at 19:00. What Will it Take to Win The Northern Trust? As you'll see below, with the scores and stats for the top-three and ties at Ridgewood, nothing really stands out statistically. Neither length nor accuracy off the tee has been crucial and although Mahan ranked first for GIR and Singh sixth, the two playoff protagonists in 2010 ranked 19th and 57th. Vijay's putting Average ranking was only 32nd but both the other two winners ranked highly, as did the majority of players that placed. There were no Strokes Gained figures produced in 2008 or 2010 but in the latest renewal here, the first five home ranked 15th, first, second, ninth and first, so a good week with the flat-stick looks like the key to winning. The winners of this event have tended to be in great form and a perusal of the US PGA Championship leaderboard looks essential. The last two winners, Dustin Johnson and Patrick Reed, both finished 13th in the PGA but neither have especially great tournament records and the winners before them had fared even better in the year's final major. Jason Day was winning his third tournament in four starts when he won this event three years ago, just a fortnight after he'd won the US PGA Championship at Whistling Straights. The 2014 winner here, Mahan, had finished seventh in the US PGA in his previous start and Adam Scott won this tournament two weeks after he'd finished fifth in the year's final major. I used to think backing players that had just got into the tournament courtesy of a high finish at the Wyndham Championship, to sneak into the top-125, might be worth chancing. In theory, they're running free with nothing to lose but outsiders don't have a great record at all of late. Steve Stricker was winning for the first time in six years when he won this event in 2008 and I don't think anyone could have picked out the 2009 winner, Heath Slocum, but since then every winner has been straight out of the top drawer and last year we were treated to a playoff between two of the best in the world, with DJ edging out Jordan Spieth. Reed was matched before the off at a high of [65.0] two years ago and he's the biggest priced winner since Slocum nine years ago but given the depth of the fields, this year's US Masters champ can't really be described as a shock winner. If the first three renewals of this event are anything to go by, a slow start can be overcome. The three playoff protagonists in 2008 were all tied 25th and eight adrift after round one and they were five, seven and eight adrift at halfway. The winner, Vijay, was the one that trailed by eight and he was still outside the top-20 with just two rounds to play. In 2010, the winner, Kuchar, had trailed by three after rounds one and two and by five after round three. The man he beat in extra-time, Martin Laird, had been tied for 33rd and four adrift after round one but after rounds of 67 and 65, he was three clear of the field through 54 holes. Hunter Mahan sat second after round one, 12th after round two and third after round three, and he was never more than three off the lead but all three winners only ever led the event after the final round. In the three editions of this event, no end of round leader or co-leader has gone on to win. World number one, FedEx Cup standings leader, and defending champion, Dustin Johnson, is the obvious favourite. He has a very nice habit of winning the same titles (a feat he's achieved five times so far) and he's looking to win this one for a third time. He hasn't successfully defended a title since he won back-to-back AT&T Pebble Beach Pro-Ams in 2009 and 2010 so he tends to have a break in-between tournament wins but that's only a tiny negative. Apart from the weekend at the US Open, where nothing seemed to find the cup, he's been putting really well of late and I expect to see him bounce back admirably from a disappointing 27th at the US PGA Championship. Rather bizarrely, DJ has won four FedEx Cup events but he's yet to win the FedEx Cup. I know he's ridiculously relaxed but I suspect that's something he's keen to put right and that itself could be a bit of a negative. He's a worthy favourite though and a fair price. Justin Thomas is attempting to be the first player to win back-to-back FedEx Cups and to become the first to win the FedEx Cup a second time since Tiger Woods won his second back in 2009. He came up just shy when trying to defend his US PGA Championship title (sixth), just a week after winning his first World Golf Championship at the Bridgestone Invitational, so he's firing on all cylinders at just the right time. This time last year, Thomas finished sixth in this event after winning the US PGA Championship before he went on to win next week's event, the Dell Technologies Championship, so he's looking to replicate those 1-6-1 form figures from 12 months ago here and it would be crazy to write him off given he's won eight of his 45 starts. Brooks Koepka has won four PGA Tour events and three of them have been majors. I don't remember a player ever having to set targets of winning more non-majors but that's where Brooks is at now. Not getting up for ordinary events is something he needs to improve on but whether he'll do so in his first start back after his latest major triumph is debatable. Jason Day has course form figures reading 31-5-2 and he won this event in New Jersey in 2015. He looks primed for another bold bid in an event he enjoys at a venue that suits but 19th in the US PGA Championship was a disappointing event last time out. That was almost entirely down to a poor week with the putter so that's a bit off putting given previous stats suggests putting could be the key this week. Since the end of May and beginning with his win at the BMW PGA Championship at Wentworth, Francesco Molinari has produced form figures reading 1-2-25-1-2-1-39-6. His 25th at the US Open immediately followed his second in the Italian Open and his 39th at the WGC-Bridgestone Invitational was his first start back after winning the Open Championship, so both poor results are easily excused. With three wins in his last eight starts and two seconds and a sixth in the US PGA, Molinari is in incredible form and in a trappy event with little obvious value on offer, the [27.0] available about the Italian, when he's no bigger than 22/1 on the High Street, looks worth taking.